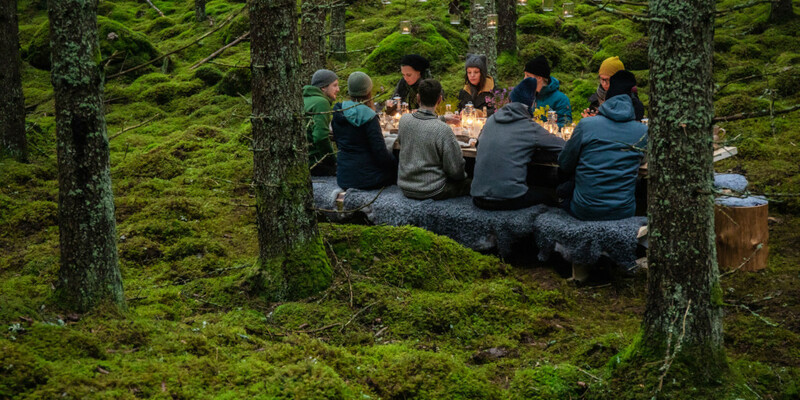 All we needed to hear was “Michelin” and “100-million-acre gourmet restaurant” and our attention was piqued by a recent story from Tasting Table, which features an amazing stunt by Visit Sweden. The cultural and tourism office, alongside four renowned chefs, have created a dining experience unlike any other. There will be seven tables placed al fresco around Sweden. Visitors who sign up for the experience will be able to eat for free. The only catch is they have to cook the food themselves. Titti Qvarnström, Niklas Ekstedt, Jacob Holmström and Anton Bjuhr have crafted the nine-course menu and the seven dining locations are in Skåne, West Sweden, Lapland, Jämtland, Småland, Värmland and the Stockholm archipelago. And let’s not forget about other Michelin-starred chef, Magnus Nilsson. Completely unrelated, but he’ll be serving Easter dinner this year in a ski gondola. Food and Wine has all the details. A new sustainable clothier has made a splash on the fashion scene. Vogue profiled Phi, which was founded by Swedish designer/fashion executive Camilla Modin Djanaieff. Fed up with fast fashion, she started the company to produce a more sustainable product. Phi also has Phix Kits to allow customers to repair their goods using recycled materials. Swedish photographer Maja Daniels is coming out with a new book this year called, “Elf Daila,” and The Washington Post has a preview. The book features photography from a village called Älvdalen, and we’ll throw out some keywords to whet your appetite: witch-hunts, sorcery, black magic. Sandvik, a Swedish engineering firm, has created an unsmashable guitar. So how did it back up its claims? They gave the guitar to a heavy metal rocker known for destroying over 100 guitars. AdWeek has the full scoop. We can barely get our butts off the couch to grab the remote, and this 71-year-old Swedish man is running back and forth across the United States. An ABC affiliate caught up (literally) with Björn Suneson, who is on his seventh trek across the country.